The first time I tried making Kaju Katli, I failed watching out for the consistency of the sugar syrup which is the most important step in its preparation. But this time I am more than happy as they came out beautifully. Shaping the katlis is definitely a time consuming step but surely its worth your patience. Grind the cashews to powder. Do this at a stretch as cashews leave oil when ground for a long time. Add sugar in a pan and water just enough to immerse the sugar. Keep stirring till u get one string consistency. Add the cashew powder and continue stirring till the mixture comes together and switch off the pan. 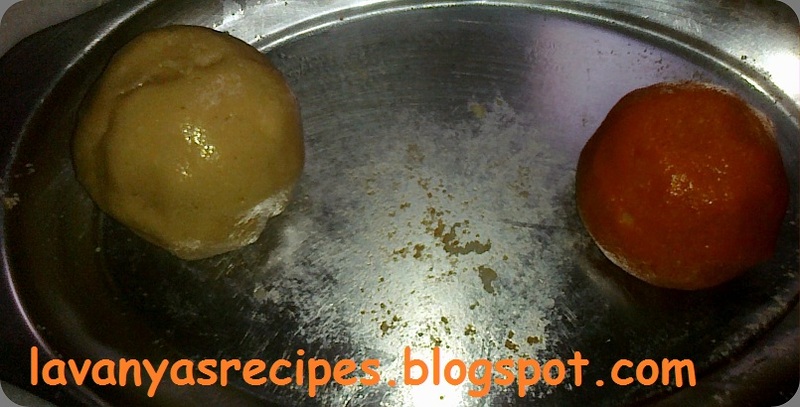 Divide the kaju mass into equal parts. 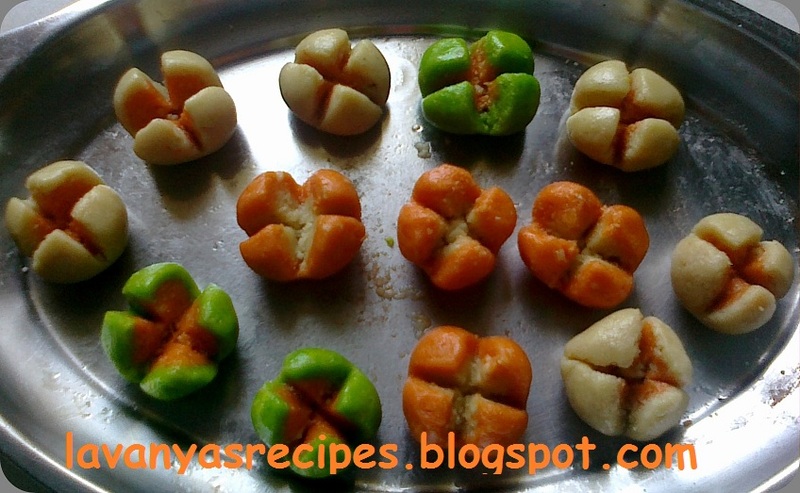 Add different food colors to them. I added red and green colors to two parts and left the third part as it is as I wanted white colour. Let the dough cool for a minute or two and then add ghee to your palms and start kneading the dough adding a few drops of milk. 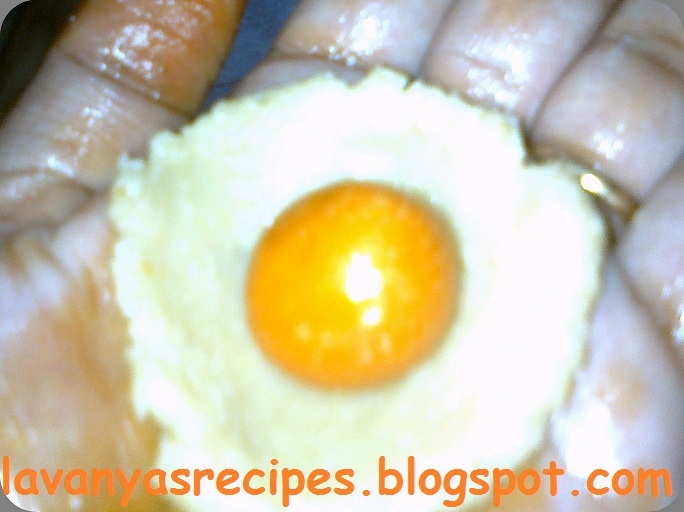 Now make small balls out of orange colour and a relatively bigger ball out of the white dough. 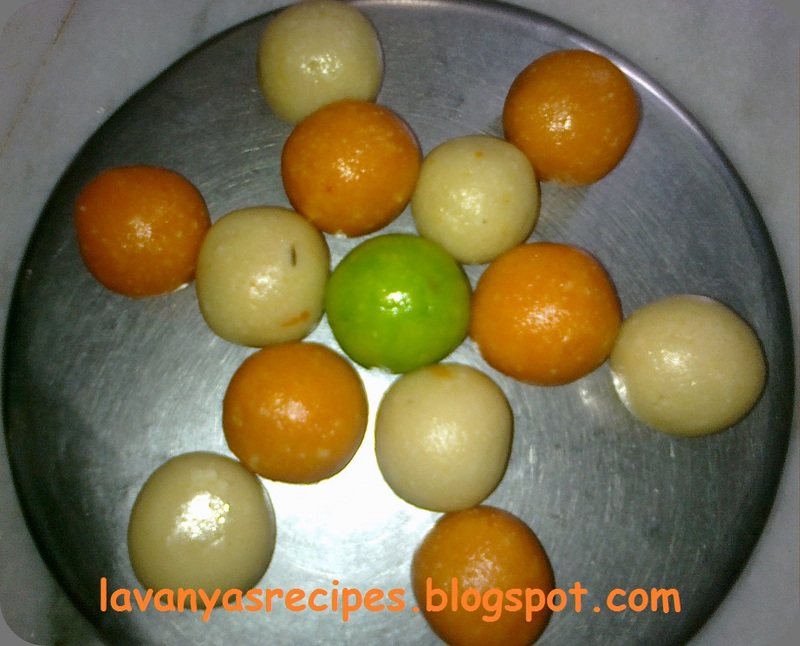 Spread the white ball on your palm and keep the orange one inside the white layer. Seal it and roll it again. Keep aside. Repeat the same step till u finish the entire dough. 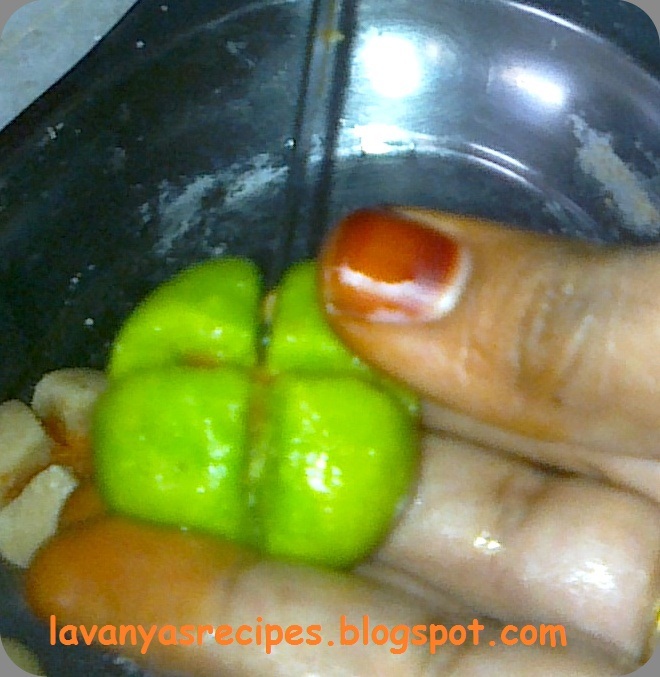 Now carefully hold the kaju balls in your palm and gently cut the desired shapes. And here comes the moment of pride. I like the green and red combination as it resembles guava fruit. Happy Diwali Sukanya! How r u ? Wow.. wonderful preparation Lavanya.. Attractive colors. Wow !!! Inviting... It looks perfect !!! Wow colorful Kaju katlis :) Looks so awesome Sharanya :) Nice and interesting color combos and loved the shapes too, u do have a lot of patience dear. Loved the green and red combo specially! !